Equipment Rentals - Print-O-Stat, Inc.
Want to try out equipment prior to committing to a purchase? Did your equipment break in the middle of a job? Do you need a specific item for a job, but won’t have future use for it? Renting may be the answer for you! 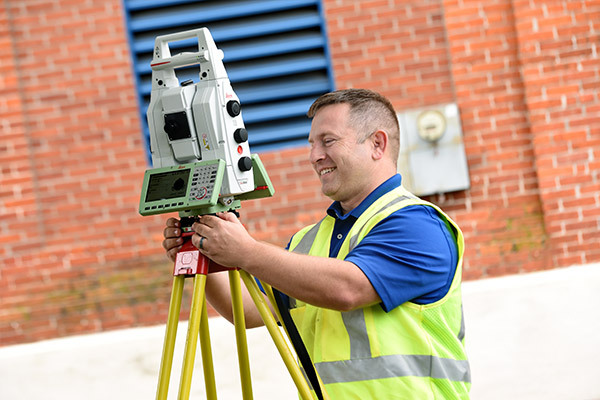 Print-O-Stat is pleased to offer our customers a variety of surveying equipment rentals, including 3D Scanners, Robotic Total Stations, GPS Equipment, Laser Levels and more. Renting equipment allows you to take on jobs that you may not otherwise be equipped to handle, familiarize yourself with a product to ensure it meets your needs prior to purchasing, and can reduce overhead and maintenance expenses. PLUS! If you decide to purchase a rental unit from Print-O-Stat after the end of the rental period, we will deduct the rental fee from the purchase price of that equipment.